Tag Archive | "Direct Lending"
The following article is provided by the good folks at The Real College Guide. We are pleased to have them as a Contributor for CheapScholar.org. This article provides a good foundation for the information covered by SAFRA. If you have additional questions or would like me to provide additional details on any aspect of this legislation, don’t hesitate to drop me a line. The college tuition system has been turned upside down now that the Student Aid and Fiscal Responsibility Act (SAFRA) is law. The Student Aid and Fisc-huh?!? SAFRA is legislation President Obama tacked on to his infamous health care reform bill. No. 1: You’ll get loans directly from the government — without a middleman. While some schools have participated in the Federal Direct Loan Program since its inception in the early ’90s, SAFRA requires that all federal student loans now be originated through the U.S. Department of Education. This means funds come directly from the federal government, which provides the loans at a low interest rate. Your credit score and employment status are not factored into your application for a direct loan … unless you have extreme adverse credit (say, your car got repossessed or you’re more than 90 days past due on that Urban Outfitters account). If you get denied, you can appeal or get a qualified co-signer. 1. Federal Direct Subsidized Stafford Loans are based on financial need. The government pays the loan interest until you’re out of school. 2. Federal Direct Unsubsidized Stafford Loans are not need-based, and students are required to pay all interest charges. 3. Federal Direct Parent PLUS Loans (“PLUS” stands for “Parent Loans for Undergraduate Students”) allow parents to borrow money to help pay for their child’s education. 4. Federal Direct Graduate PLUS Loans offer the same terms as Parent PLUS for graduate and professional-degree students. No. 2: You can consolidate loans you already have. 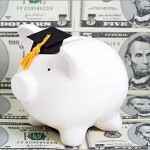 Federally guaranteed student loans will no longer be made by private lending institutions through what many of you already know as the Federal Family Education Loan (FFEL) Program. What to do if you have an existing FFEL loan? For a one-year stretch — from July 1, 2010 to July 1, 2011 — current students who have FFEL loans can roll those into the Direct Loan program. The benefit is that you’ll only have to deal with a single lender (the Direct Loan Servicing Center) which means paying one monthly payment for all loans. Plus, your minimum monthly payment on a consolidated loan may be lower than the combined payments for FFEL loans. No. 3: You’ll pay back less per month (and overall) and be done in fewer years. Direct Loan borrowers can choose from several friendly payment plans, depending on needs — and you can switch to a different repayment plan if your situation changes. Beginning in 2014, the Income Based Repayment option will cap monthly loan payments at 10 percent of income and forgive remaining balances after 20 years of repayment. Sound like a lot? Actually, this is a major improvement from the current terms of capping repayments at 15 percent and 25 years, respectively. No. 4: You could save big-time on loan payments if you go into public service. Public Service Loan Forgiveness provides incentive for students to enter into full-time public service employment. The program forgives the remaining balance of a Direct Loan after a borrower has completed 120 monthly payments (that’s 10 years) while employed full time in public service. This includes government jobs, military service, safety professions, law enforcement, health care, social work, legal advocacy and some teaching positions. No. 5: Maximum Pell Grant amounts will increase with inflation. While SAFRA does not change the process for applying for federal grants, it does increase the amount of money awarded through the ever-popular Pell Grant program, which provides financial aid to low-income undergraduate students. For the 2009 to 2010 school year, the maximum Pell Grant was $5,350. The max will be upped to $5,550 for 2010 to 2011 and will gradually increase based on inflation costs beginning in 2013. Students interested in applying for aid should complete a Free Application for Federal Student Aid at Fafsa.ed.gov or call 1-800-4-FED-AID. Keep in mind that this is not a one-time thing — students who want to be considered need to apply for aid for every school year, so it’s important to stay on top of application procedures. A recent report released by the College Board found that millions in financial aid are left untouched by community college students. In the 2007 to 2008 academic year, 58 percent of Pell Grant-eligible students who attended community colleges applied for federal financial aid, compared with 77 percent of eligible students at four-year public institutions. No. 6: Community colleges and minority schools will get big bucks for improvements. Says College Board President Gaston Caperton: “Community colleges are a critical part of the education system, serving nearly half of all undergraduates in the United States.” The terms of SAFRA reflect this sentiment, as $2 billion is being committed to improving educational programs and updating facilities at community colleges. In addition, SAFRA has earmarked $2.55 billion to be invested in historically black and minority institutions. What do you think about SAFRA and its impact on the college student aid system? Yesterday, I wrote a nice article about how Sallie Mae is doing great things to help educate families and students about the FAFSA and the Financial Aid process. For the most part it was a warm and fuzzy, all is roses, type of article. In order to be fair to our reader base and keep you fully educated on the world of financial aid, I probably should devote a little attention to some of Sallie Mae’s other activities. Right now, Congress has been working on legislation that will help to streamline the way federal loans are delivered to deserving students. Currently the loans are backed by the federal government but the private banking system takes care of funding and administering the loans to the schools who then apply to the tuition accounts of millions of students nationwide. I could go in greater detail on this whole process but you would probably stop reading after 2 sentences and reach for the Tylenol. 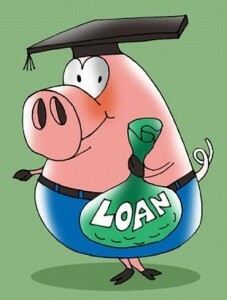 Anyway.. Congress is/was looking to take the banks out of the equation and go through a process called Direct Lending. Basically the federal government would provide the funding and administering of the loans directly to the schools and drop the banks out of the process. 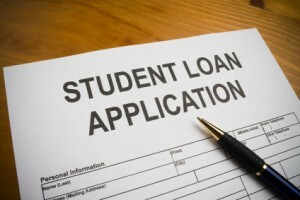 Trust me.. there are pros and cons to each of these methods but my personal opinion is that Direct Lending is probably the way to go if we are to simplify and streamline the process in which students receive federal loans. However, my personal opinion holds very little weight and it is probably driven by the fact that I think Direct Lending is coming whether we want it to or not. By leaving the banks out of the lending process, the Department of Education estimates that it will save approximately 80 Billion dollars (yes that is a “B” and not a “M”). The goal is to utilize this savings to help pump money into some other successful education programs like Pell and Perkins. As you can imagine, Sallie Mae, being one of the largest education lenders and loan processors in the nation with 22 billion dollars in student loans under their belt, is not too keen about the new proposed legislation. They are so unhappy with the education bill that they have spent nearly 8 million dollars in 2009 to lobby against it. My guess is that they will spend even more in 2010. Sallie Mae’s position on the legislation is not necessarily wrong, they just feel that the banks need to remain involved in the process because they play a vital role in educating students and families about the loan process. In addition, their top notch customer service is being marketed as being far superior to anything the government will be able to provide(and they may be right…). Also, the banks help to provide a competitive market for education loans and offer different borrower discounts to try and persuade a student from choosing one bank over the other. These discounts come in the form of reduced fees, interest rate and principle reductions, etc..
As I said, there are multiple sides to this story and each one carries their own conviction for why their position is best. Here is the latest article from the New York Times on the topic. If you are really interested, or having trouble falling to sleep, start researching Sallie Mae, Direct Lending, the Department of Education and all the related legislation and proposals. 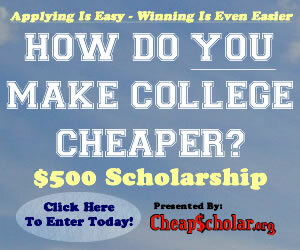 You will be sure to find out more than you ever wanted to know… In the meantime, if you just want to figure out how to make college affordable, keep checking back here at CheapScholar.org and we will do our best.